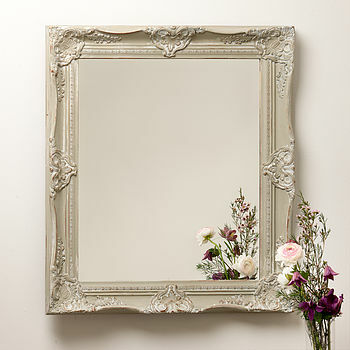 A Shabby Chic style ornate mirror with a wax finish and distressed detail . 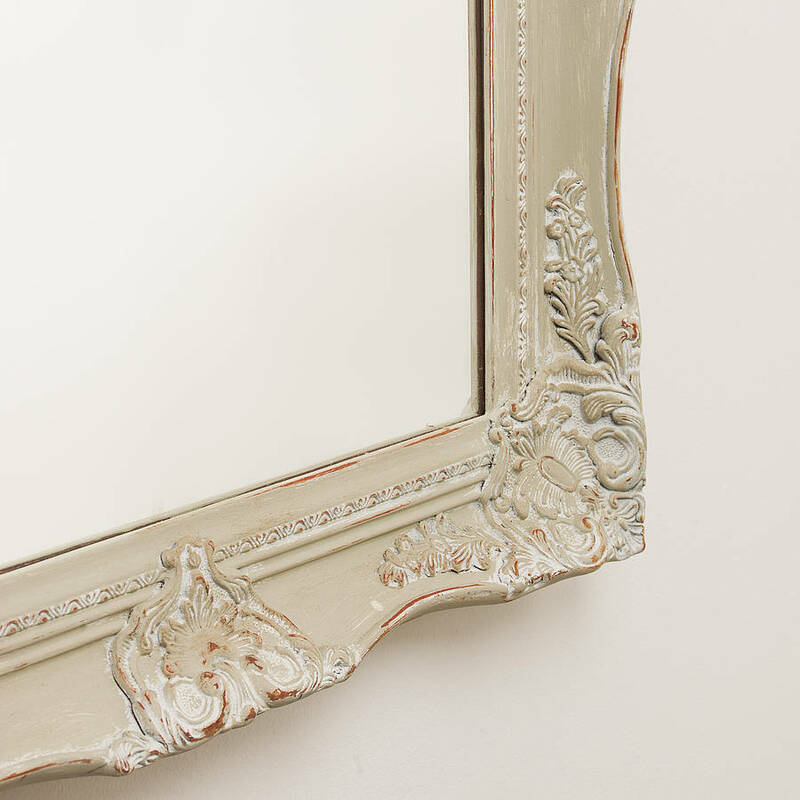 The frame is painted by hand for an authentic vintage look. 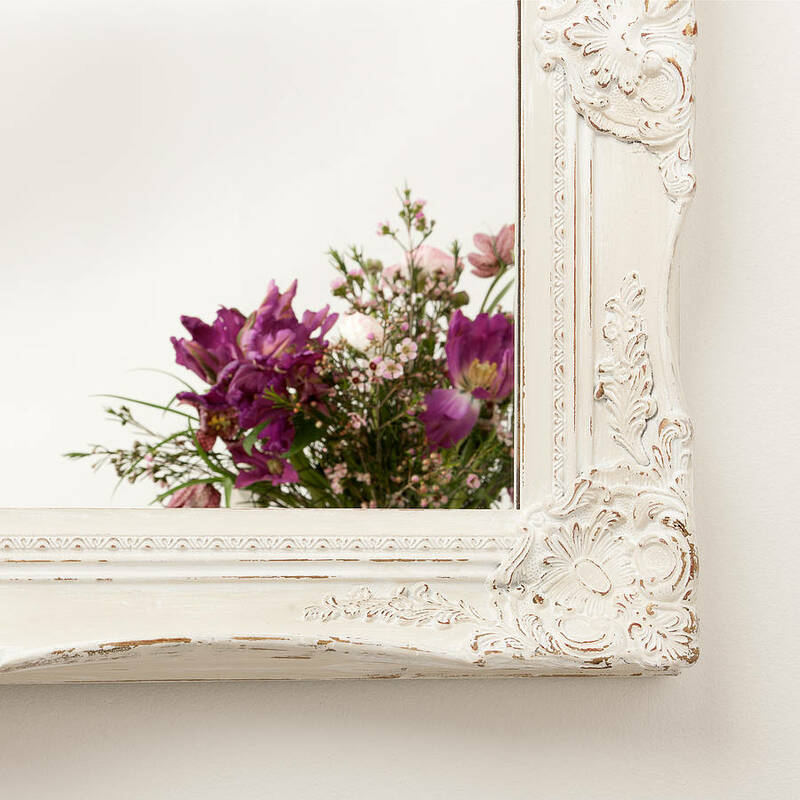 This is a beautiful classic style mirror, it features the swept style frame that has been a traditional staple of interior design for centuries. The fluid curved lines of the solid wood frame accentuate the intricate plasterwork detail. The edges of the frame curve and curl around to create an elegant shape which is highlighted by a central carved decorative relief. 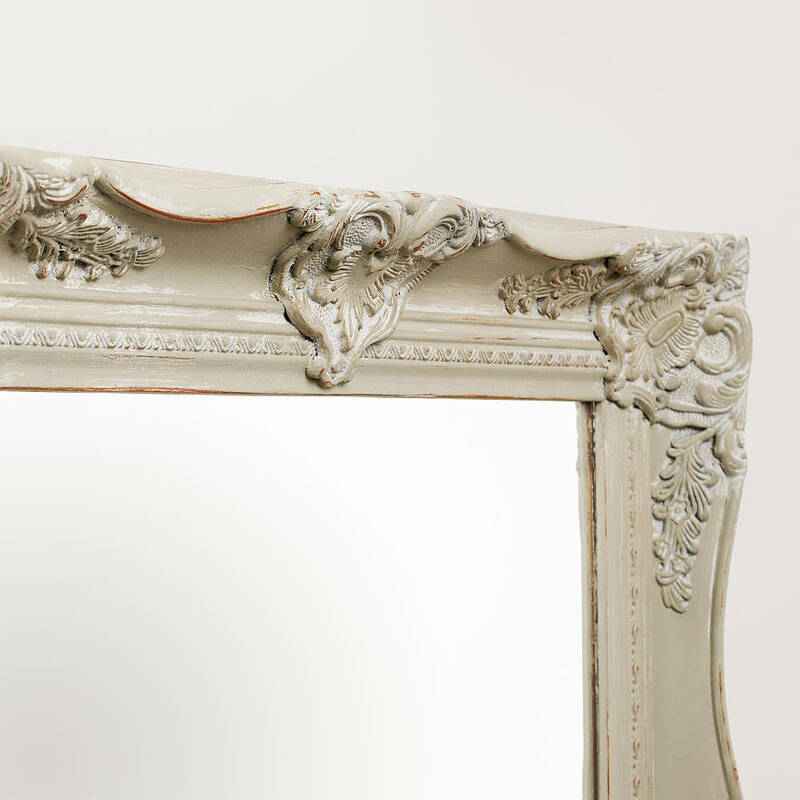 the beautiful frame has stunning proportions with an ornate plasterwork accentuated by the hand painted finish. 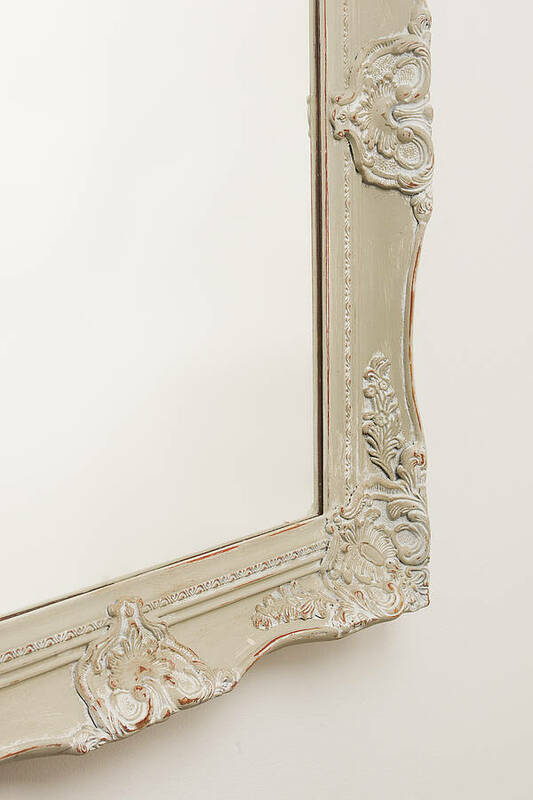 The frame of this mirror can be painted in Farrow and Ball Lime White, which is a neutral shade of Ivory or an Antique gold hand leafed finish please see images. the default option of the mirror picured is Sophisticated Sage by Dulux and this is the colour you will recieve unless otherwise specified. I am happy to paint the frame in any colour you wish however there will be a charge of ten pounds for a finish not listed here please contact me for further details. This stunning piece has been hand painted using only the finest quality English paints and waxes . To highlight the intricate plasterwork I have lighhtly distressed the Farrow and Ball to reveal tints of the gilded frame beneath . Finally using only the best quality English waxes I have hand waxed and polished the frame to create an authentic vintage look. 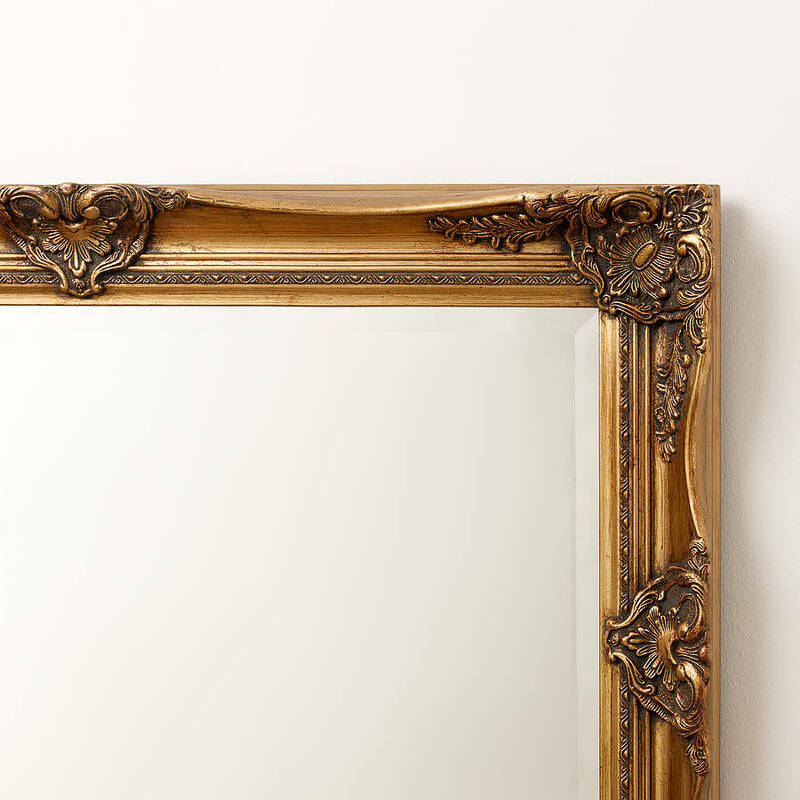 The mirror itself is top quality Pilkingtons glass which is renowned for being the best type of mirror glass you can buy.The board that holds the mirror in place is taped in with high quality framers tape and brads are fired by hand to ensure that the glass is held firmly in place. The frame is solid wood and the decorative sections are are plaster and plaster composite. The internal glass size is 20x24 inches or 51x61 cm and the frame thickness is 6cm at the deepest point or approximately 2 and a quarter inches deep.